Home » Transportation » Econet Vaya Drivers Earning As Much As $3000 A Month. Is That Really Possible? Econet Vaya Drivers Earning As Much As $3000 A Month. Is That Really Possible? So yesterday, Econet subsidiary Cumii finally launched their uber-like; Vaya Africa. As fate would have it, there were some drivers on hand to give testimonies. The one driver who started this whole conversation we are having now, went on record saying he earned as much as $3000 during that testing phase. Another guy was also enjoying his experience as a driver and he said he had earned $1300 in three weeks. Even some of the media houses at the event were greatly baffled by these claims and they wanted to understand. How is it this driver earned $3000 when we haven’t heard of or seen these Vaya cars on the road? After all, the service only launched last night! Well, it’s certainly possible that some drivers earned that much. Here’s a bit of background. The driver who made claims of making $3000 is 65 years old and he is retired. What this means is that compared to other drivers who have to alternate between their other ‘projects’ and being a Vaya driver this guy is on the job all day. These thoughts were echoed by the Vaya driver who gave me a ride home. He expressed that depending on the shifts you do it is actually very possible to be raking in that much money as Vaya driver. He wasn’t willing to disclose to me what he had made personally (wages/salaries remain touchy issues) but he did say if you are putting in all-day shifts every day then the possibility of raking that much in is feasible. Now before you go and sign-up because you play for Tora Mari United and this seems like the perfect opportunity to rake in the dollars let me explain why I also think it was possible and why things may change a bit now that the Vaya Africa ride-hailing service has been launched officially. 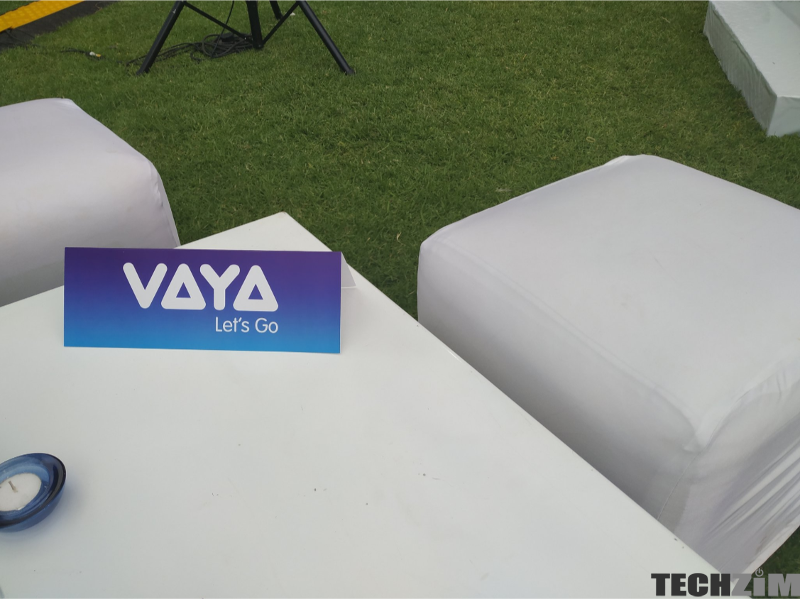 The pre-launch testing for Vaya had been underway for about 2-3 months if not more. During this phase, Cumii went to big companies and pitched Vaya as a replacement for the companies existing fleets. The pitch was why buy and maintain vehicles when you can partner with us and slash costs? More than just pitch to companies, Cumii went an extra step and dished out promo codes so that these companies would then actually experience what being a Vaya company would then entail. What I would term as a reliable source informed me that they were actually testing this product out with some big players such as Zuva Petroleum, National Foods and many of the Econet Group companies. The costs were all being covered by Cumii during this testing phase. Remember the testing phase was for both drivers and companies, so for Cumii not to give drivers money and only make promises of brighter days once the product was launched wouldn’t have been enough incentive. Especially over such a long period. What my source didn’t tell me was whether or not all these partners enjoyed the experience and they will be signing up long-term and this is where my fear lies. If they didn’t rake in those big cats and the reception from the general public is lukewarm, then you can see how the guys who were previously earning boatloads might have their situation slightly altered after the launch when Cumii is no longer footing the bills. Well observed my brother. Well observed. I call BS on this claim. Do another story in 2019 and let’s see if these claims still stand. Well, that’s the whole point we were making in the article. Going forward it might be harder to make that much if demand is lower and costs are no longer being subsidised.